The Best Sales Enablement Blogs from thousands of Sales Enablement blogs on the web using search and social metrics. Subscribe to these websites because they are actively working to educate, inspire, and empower their readers with frequent updates and high-quality information. Sales Enablement newsletter is a comprehensive summary of the day's most important blog posts and news articles from the best Sales Enablement websites on the web, and delivered to your email inbox each morning. To subscribe, simply provide us with your email address. Indianapolis, IN About Blog MarTech provides sales enablement technologies that allow companies to collect, identify and research prospects, assisting them to prepare for sales related activity. Facebook fans 8,054. Twitter followers 20,002. Seattle, WA, USA About Blog Highspot delivers the industry's most advanced sales enablement tools and software for improving marketing effectiveness and increasing sales. Facebook fans 145. Twitter followers 2,371. About Blog Step into the vast world of sales with expert opinion pieces, industry trivia, trend-update and trade tips with Denave's Sales Blog. Facebook fans 30,190. Twitter followers n/a. San Francisco, US About Blog Find out how top companies improve sales effectiveness and increase sales productivity with a sales enablement strategy. Facebook fans 1,346. Twitter followers 6,143. Portland, OR About Blog Veelo's award-winning sales enablement software increases sales performance by predicatively guiding sellers on what to know, say and do. About Blog Find latest updates, articles and information on sales enablement training at AllenComm. Facebook fans 1,156. Twitter followers 1,418. San Francisco, CA About Blog This subreddit discusses everything about sales enablement which lets you view live stories and explore news. Facebook fans 1,201,678. Twitter followers 564,953. Germany About Blog This blog is focused on startegic sales and sales enablement approaches, designed backwards from the customer journey, covering the entire sales system to make sure that strategies can be executed successfully. Facebook fans 355. Twitter followers 6,273. 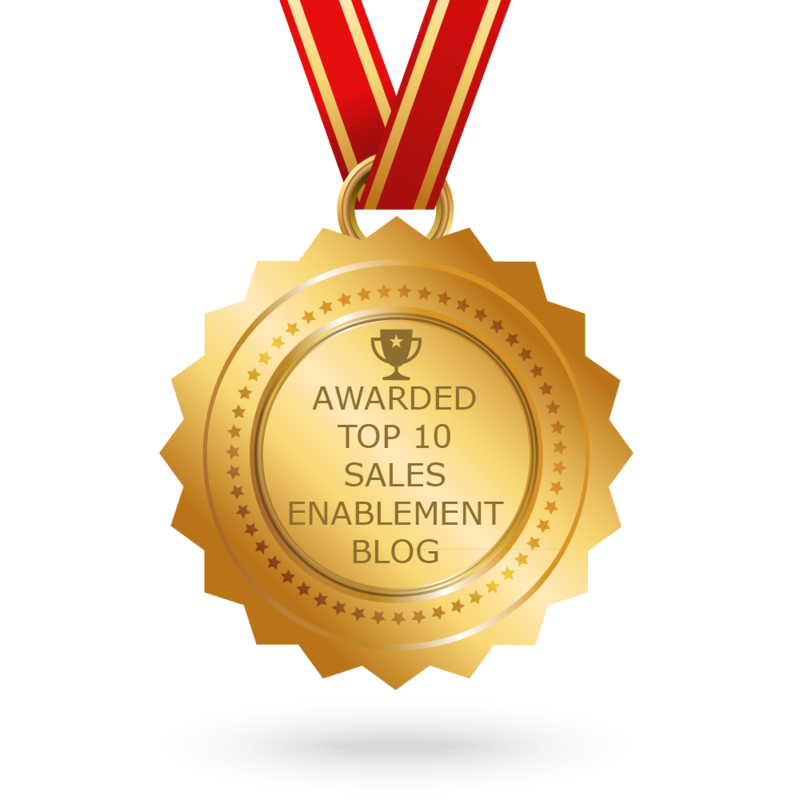 CONGRATULATIONS to every blogger that has made this Top Sales Enablement Blogs list! This is the most comprehensive list of best Sales Enablement blogs on the internet and I’m honoured to have you as part of this! I personally give you a high-five and want to thank you for your contribution to this world.